Below you can view all the homes for sale in the Ruby Hill subdivision located in Denver Colorado. Listings in Ruby Hill are updated daily from data we receive from the Denver multiple listing service. To learn more about any of these homes or to receive custom notifications when a new property is listed for sale in Ruby Hill, give us a call at 720-729-2320. The front patio is great for summer outdoor hangouts. MLS#6417528. Brokers Guild Classic. Home comes with 5 year roof Certificate, sewer has been repaired, no differed maintenance Fully Fenced yard, Great location- walk to free concerts at Levitt Pavilion! Call with any questions. MLS#8486356. Worth Clark, Inc.. Seller will transfer at closing interior new doors as well as new windows. Great potential, must see! MLS#2099980. M I SOLUTIONS. Being a completely remodeled interior, not to mention the added egress windows and two additional bedrooms in the basement this home is move-in ready. Call today for a showing! 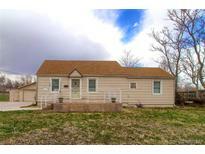 MLS#8246802. PERCH REAL ESTATE. Come bring your buyers before it is gone. MLS#1566699. Capital Investment Realty. 3 parks in walking distance and conveniently located by the light rail station/bus stations, DU, minutes from downtown Denver, and Levitt Pavilion. Don't miss this one! MLS#4713824. Berkshire Hathaway HomeServices Innovative RE. Carport protects your vehicles from the weather. MLS#6790136. COLDWELL BANKER RESIDENTIAL 24. Great Price for the Square footage. 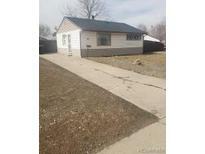 MLS#7623751. The Gala Realty Group Llc. Come make this beautiful house your own! MLS#9815332. THE CROSSROADS R.E. TEAM. Redevelopment Opportunity - Property is sold AS-IS. No repairs will be made MLS#2914425. Distinct Real Estate LLC.